Treat yourself to one of the West End’s most popular theatre shows, an Agatha Christie classic that’ll have you on the edge of your seat as the mystery unfolds. The setting: a country hotel, where the guests are snowed in with a murderer in their midst. Who did the dirty deed? 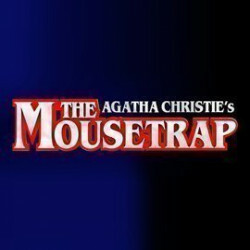 The Mousetrap is an intricate, complex tale of dark deeds that’s loved by audiences from all over the world. A magnificent chunk of pale stone with pillars and ornate carving, inside St Martin’s Theatre you’ll find a rich, lush panelled dark mahogany interior with deep red curtains and draperies, delivering a traditional feel reminiscent of real period Victorian splendour. One of only a handful of privately owned theatres in the West End, St Martin’s was founded by the 19th Baron Willoughby de Broke, a keen hunter and politician who became a theatre manager with the encouragement of his good friend, Bertie Meyer. He had a taste for the boards, nurtured through amateur dramatic productions put on at the family home, Compton Verney in Warwickshire, which grew during his time in London as an MP and member of the House of Lords. When it first opened, St Martin’s was known as a cosy family theatre perfect for putting on small, intimate plays. 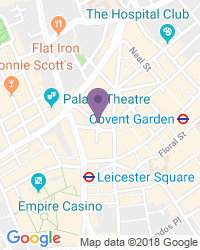 As such it was the perfect venue for the infamous 1950s smash hit, The Mousetrap, by Agatha Christie, which moved there from the Ambassadors Theatre, just next door, in the mid 1970s. Almost a century later St Martin’s Theatre is still owned by the Willoughby de Brokes family, and was still receiving guidance from the Meyer family until 1991. The exterior of the building was restored in the late 1990s to its original splendour, with a replica of the original 1916 canopy constructed in Cheshire and fitted in 1998. The Mousetrap has been running for sixty years or more, one of the London stage’s biggest and longest running hits, and these days the name of St Martin’s goes hand in hand with the Mousetrap. The show has clocked up 25,000 performances and counting, and it’s as popular as it ever was. St Martin's has staged a host of popular plays over the years since it first opened, including pieces by John Galsworthy, Frederick Lonsdale and Noel Coward. Before The Mousetrap arrived it also hosted The Grass is Greener by Hugh Williams, John Mortimer's The Wrong Side of the Park and the smash hit thriller, Sleuth. The Mousetrap opened there in March 1974. There is an infrared system throughout the theatre and some performances are captioned and signed. Guide and hearing dogs are allowed in the auditorium, or staff can look after your dog in the manager’s office. Wheelchair access is via a ramp at the main entrance and there are two wheelchair spaces, in Box C and the dress circle. Plus there are transfer seats in the aisle of the dress circle. We’re a popular destination for a wide variety of seat types and prices, with excellent availability on the full range of St Martin’s Theatre tickets.